This is what I call FALSE ADVERTISEMENT…. 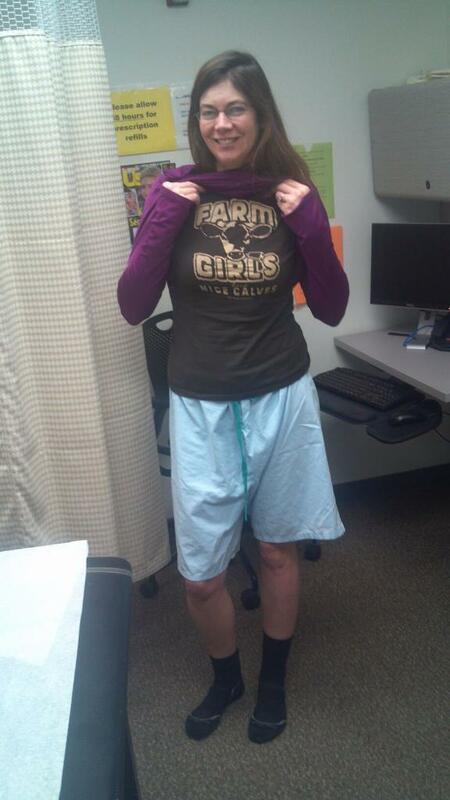 Couldn’t resist wearing my favorite shirt “Farm Girls Have Nice Calves” while doing a series of tests to determine what is wrong with my leg. Most likely I will have to wear this shirt Thursday as well when I do the MRA 🙂 I have to make the most of my situation and Tim is nice enough to just smile, shake his head…and take the pictures! Awesome, Becky… your shirt and your sense of humor!